There are many 3D stall designing services available in Jaipur. Since the technology is increasing rapidly and is in a huge demand because many industries are looking for such agencies which are specialized in 3D designing so that they can showcase their project in a smart and meaningful way. Cross Graphic Ideas is the best agency which offers such services because businesses require perfection and adding a professional touch makes them look different in the market. This Jaipur based graphic designing agency and the 3D studio has a number of creative designers who are dedicated to providing the best customers services. Cross Graphic Ideas is also specialized in stall designing based on 3D concepts creating a dynamic three-dimensional space into an environment that brings brands to life. We believe that from design to final execution, this smart technology helps to take care of every single detail related to design for a successful execution of the 3D stalls. Every stall should be designed in a unique way and offers a different layout for every floor plan. It ensures to give a clear picture to the clients of space allocation and display of the product, for effective business engagement. The main motive of 3D rendering technology is to provide a clear picture of your building’s exterior in a form of a digital image.The pure graphical representation will include objects like roads, trees, people, cars, etc (to make it look like real) to give a better and a real/genuine view to the clients. 3D Architectural Rendering helps to create a view to making clients imagination more realistic. 3D Interior designing gives a dynamic representation with an idea of your home, office or a building to show you how it will look like from the inside when the construction will get the finish. It gives an interior look or a picture in an animated form or a picture which looks so real that you get a clear idea so that if you have to make any changes you can. It is very helpful because a prior look from the inside can help you know about the interior designs and construction, the empty space and the occupied space just to avoid the mistakes. 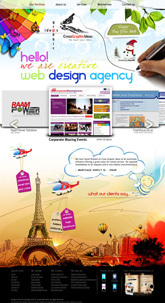 The whole purpose helps you to save your money and also increases the value of your designs. It helps you decide your budget more efficiently because the main purpose of this technology is to help you understand that if there is something which needs to be changed. These are basically set up in any event or ceremony. 3D Stall design or stall creation are used in exhibitions to offer a platform to the companies/brands which helps them showcase their products and services to their target audience in a professional manner. Being a leader in the designing industry, CrossGraphicIdeas ensure to offer great exhibition stands which stand distinguishable in the market. Cross Graphic Ideas is purely into graphic designing and developing 3D designs. The services are promoted on large scale to deliver an outstanding service to your brand. Cross Graphic Ideas deals with stall design and stall fabricators along with the creative designers to make sure that your product stands out in a tremendous and unique way in the competitors. Cross Graphic Ideas is specialized in designing stalls for companies to showcase their products and services in a unique and meaningful manner. 3D Architectural Visualization is the process used for advertising, by many designing agencies and industries. The technology is required in the real estate business and Construction Company, to observe the presentation of digital architectural objects for different target audiences. The technology is rapidly used for the project’s approval. It is totally depended on the kind of product you want to advertise, and it is not necessary to have that building physically ready in reality. It helps to create vibrant photo-realistic images giving a real look as if the building has already been built. An architectural 3d animation walkthrough is a great tool that can be used by architects and artists so that they may offer a detailed view of their works. Basically, it is a program or software that allows viewers to virtually walk through the work of the architect or artists. Most of the companies or firms that offer this walk through view to their consumers are considered to be of higher class or value. Actually, those who offer this experience give their clients something more exciting to look forward to than if they had simply given images or floor plans of the projects that they are proposing. My daily responsibilities and my professional goal are to create beautiful, exciting and cool artwork. My dreams were to become an architect or fireworks maker. I am probably one of the most enthusiastic and biggest fans of projection mapping. 3D projection mapping is a technology used to turn non-flat surfaces such as buildings or sculptures into a display surface for video projection. We use software that can interact with multiple projectors to fit any images onto the surface of the object. I am interested in 3D projection mapping. Around the same time I started seeing some artists making architectural projection mapping installations as well. I found that there was a huge opportunity to include LED lighting and projections in our dance shows. And that’s how I got into the audio-visual world. Is building a sophisticated piece of workmanship and therefore only 2D is hard to imagine entirely through pictures. When one generates a 3D model of the design, one gains the opportunity of viewing it from every angle. Therefore many design errors which can otherwise be overlooked, can be easily identified and corrected before construction begins. This will help in reducing unnecessary expenditure and also save time required for construction. For an architect it is very important that they want their customers to our building. Often the difference between the customer’s needs and is an architect understands this approach, which sets it apart from a few ways to offer customers were really looking for is different. It ends when 3D visual rendering and 3D rendering tools are adopted. When a 3D interior or 3D exterior view is display and presented to the client, he gets a better understanding of the materials & an architectural feature used in the building & is able to judge the overall effect they have on the aesthetics of design. In case of any discrepancies with his needs, changes can be easily made at that stage rather than after it has been constructed. 3D interior & 3D exterior views are doubly advantageous when it comes to the salability feature. For one it helps the architect to be able to convince the client of his abilities in delivering good work to him. On the other hand real estate developers depend on them to secure the interest of probable stake holders and get them to invest in the project. Besides that it is indispensable while marketing the projects (apartments, accommodation, flat, cabin and villas) to customers. With such advantages as these one can understand how 3D rendering has become an indispensable tool for architects allover & as architectural design becomes more and more dependent on computers with each passing day, it is likely that the future will see it becoming even more so. First Look Cross Graphic ideas Design Studio is a design firm that specializes in all kinds of 3D renderings and walkthroughs. Our experience of providing solutions to hundreds of clients has helped us gain a unique outlook in to the needs of clients and what they take from us. It is this experience that has helped us reach the upper echelons of architectural 3D visualization services & become a top-notch 3D architectural visualization and 3D visualization architectural company.